Enjoy a great Italian meal for a great cause! With the Dulles Plane Pull just around the corner, the Ask Gina & Company Team is ralleying to tomorrow, Tues. Sept. 18th for an ALL DAY FUNDRAISING event at Travinia’s Italian Kitchen in Leesburg. Stop by for a bite to eat with the family and 10% of all food sales to be donated to the Ask Gina & Company Team to support Virginia Special Olympics! 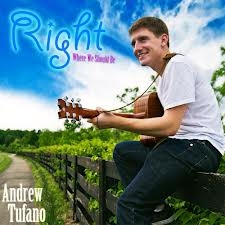 Many local team members will be in attendance with a special performance by the award-winning local artist, Andrew Tufano, to play some tunes as you eat & drink. Jaspen Boothe, Founder of Final Salute Inc.
Background information on the event: The 20th Anniversary of Dulles Plane Pull event will be held on Sept. 22nd at Dulles International Airport during the Dulles Days Festival. There will be something for all ages so bring the whole family out to enjoy the fun and root us on as the Ask Gina & Company pulls our weight fort he Special Olympics Virginia from 11-1pm!